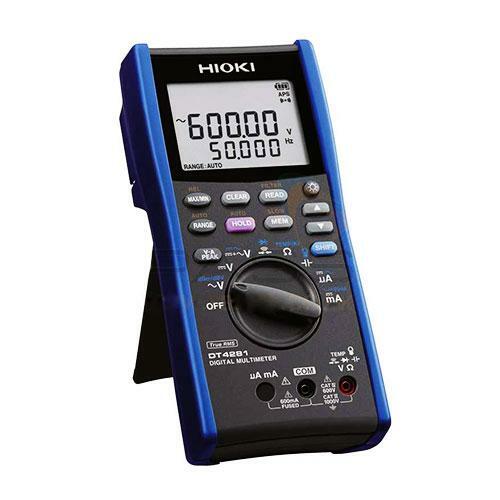 60.000 mV to 1000.0 V, 6 ranges, Basic accuracy: ±0.025 % rdg. ±2 dgt. 60.000 Ω to 600.0 MΩ, 8 ranges, Basic accuracy: ±0.03 % rdg. ±2 dgt. Basic accuracy: ±0.05 % rdg. ±5 dgt. 1.000 nF to 100.0 mF, 9 ranges, Basic accuracy: ±1.0 % rdg. ±5 dgt. 99.999 Hz (0.5 Hz or more) to 500.00 kHz, 5 ranges, ±0.005 % rdg. ±3 dgt.